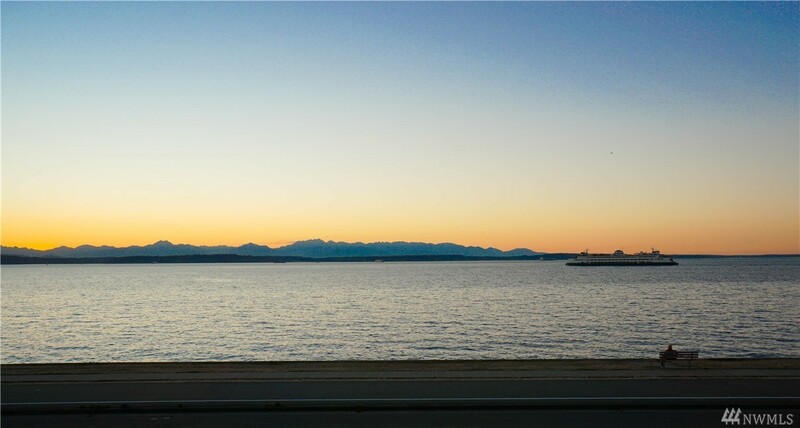 Beautiful Alki View Condo! Master bedroom on view side, wake up to your gorgeous wireless view! New shiny lobby remodel. Desirable first floor unit allows hardwood flooring. Larger than average deck, gas forced air heat & AC. Small building with strong HOA. 2 car tandem garage parking. Walk-in pantry & granite counter-top. 2 walk-in closets, 2 full baths includes 5 piece master. Separate utility room. Gas range & hot water. Tons of storage in unit. Building even has small workshop for tinkering.